This week I’d like to think with you about what it means to be missional during the holidays. These times can be the best and the hardest for extending the love of Jesus as we are gathered. 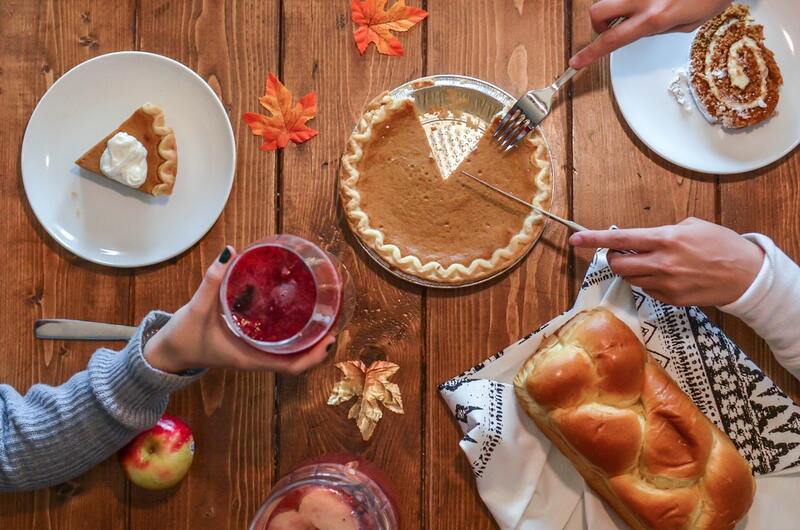 I’d like to share three different vignettes from Katie Corea about memories and Thanksgiving experiences. One memory that comes to mind is, in the days of my youth, the long drive up to Chicago to complete a three day marathon of stuffing my face with as much pie as my stomach could tolerate, and visiting with extended family that I found just slightly less tolerable than said pie. Holidays can be spent with people with whom we have a long history of memories of all kinds. Forgiveness is necessary as we release intentional and unintended wounds back to our Father who knows all about them and can handle them for us. Trusting Him with our wounds can allow us to be a blessing in Jesus’ love for all of our family. Some people are just difficult to be with. All kinds of irritations can surface when we’re around them. Asking God to help us see our family as image-bearers of Him, though marred and unredeemed they may be. Having God’s perspective on our family can help us see them as human beings with whom we have much in common. Often we approach people with a predisposed image of ‘I’m in/you’re out’ mentality. Unfortunately it shows too. When we gather with family, as much as we desire their salvation, the most important thing we can do is to love and bless them with the love that Jesus has provided for us. Genuinely care for your family in concrete ways. When we’re visiting in a family member’s home, help out, compliment, share good stories and memories where possible, and enjoy building memories together for all your family. Pray before, during and after your time together. Ask God to work in their hearts. Ask God to show His love through your words and actions. Ask Him to continue to draw them after you’ve gone your separate ways. God cares for your family even more than you do. It is His job to work in their hearts. Katie shares how she and Gaby celebrated Thanksgiving last year. Family became the elderly neighbor who doesn’t get out too often, the immigrant family of questionable legality, the homeless lady who lives in her storage unit. These were our guests, our family, last year for Thanksgiving. Jesus called us to love them just as they were: beautiful and in need of Christ. And we can do this because He loves us even though we ourselves are far worse than Grandma Edna’s ambrosia salad. God can give us opportunities to share holidays with those who have no one with whom to celebrate. Ask Him who you can invite, to guide you to be welcoming, to genuinely love and provide His care and mercy to those without. This year we’ll be having a simple get together with my in-laws and a new baby. And while we won’t have the exciting guest list as we did last year, we will still be called to love just the same, love the brokenness , the imperfection, and the messy. When we gather with guests, there may be that challenge to feel that everything should be perfect. Life hardly ever is. Things get spilled, food burns, children get cranky, we get tired. Ask for help. Assign older children to assist with younger ones. Ask the kids to set the table. Enlist them to make decorations for the table. Have fun! Jesus celebrated when He was on earth. He went to a wedding. He celebrated many dinners with friends. We look forward to celebrating a banquet with Him when all is ready. In the meantime we can live His kingdom here on earth, enjoying His provisions, to bring along with us those whom God calls to join with us in that final banquet.